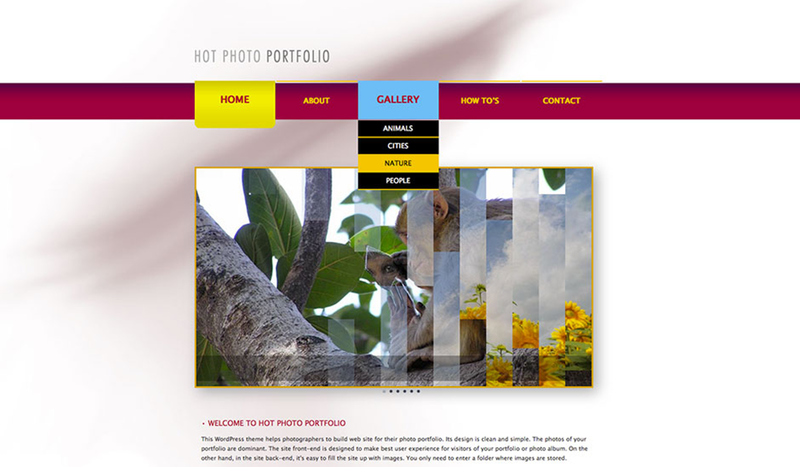 The Hot Photo Portfolio is a WordPress photo theme suitable for the photographer’s and designer’s portfolio sites, based on WordPress. 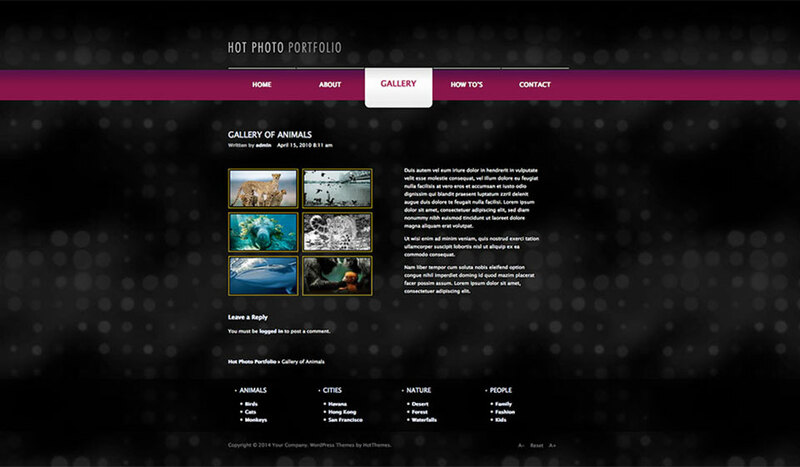 It’s also suitable for online gallery sites. Since digital cameras became available to everyone, many of us have a huge collection of photos. You probably want to share some of those photos with relatives and friends. 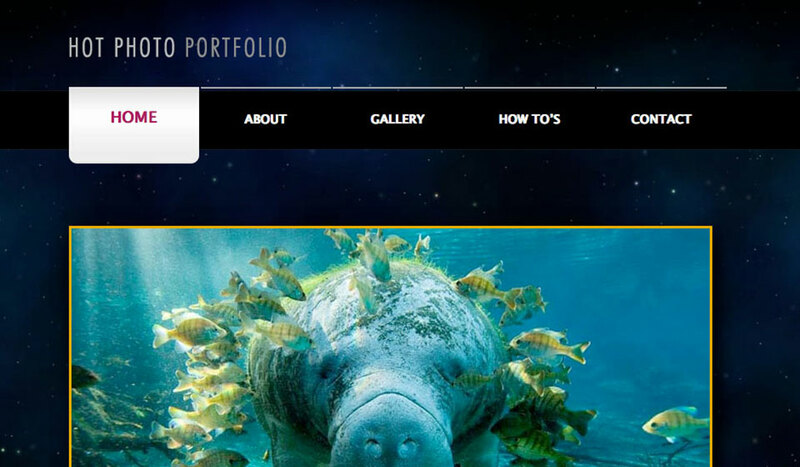 To achieve this, you need a site to publish the photos. Something similar is also possible on social networks, but for a professional photographer’s portfolio, a unique and dedicated website with collections of the best photos is a must have! 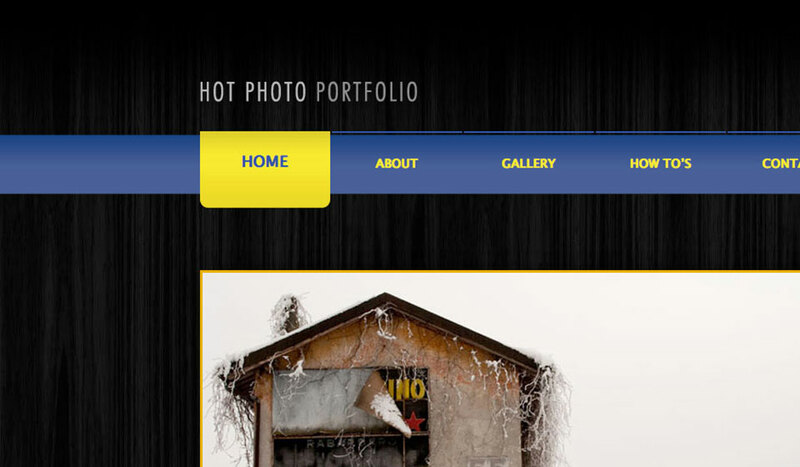 If you are familiar with WordPress and have WordPress photo theme, you are good to go! 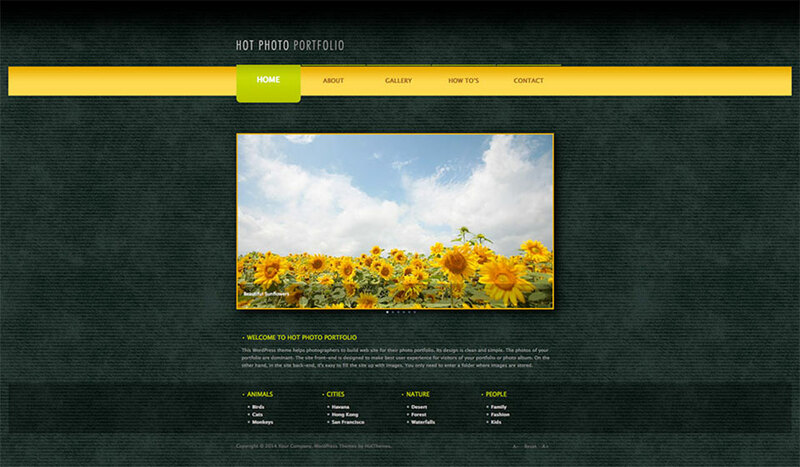 Any WordPress theme itself could not be enough for making a photo portfolio website. 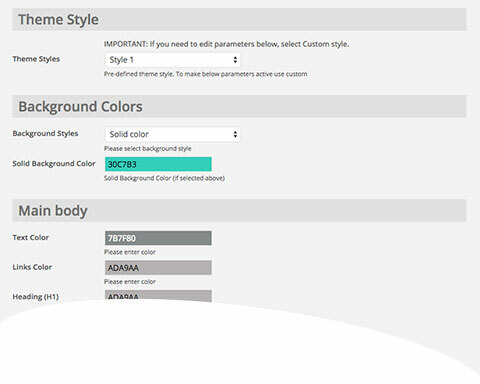 Therefore, we enhanced this theme with Hot Photo Gallery plugin. You upload images in a folder and this plugin does all the rest: Creates thumbnails automatically and make a slide show from your photos on any WordPress page. Do you have to buy this plugin separately? No! It’s included in the theme package. 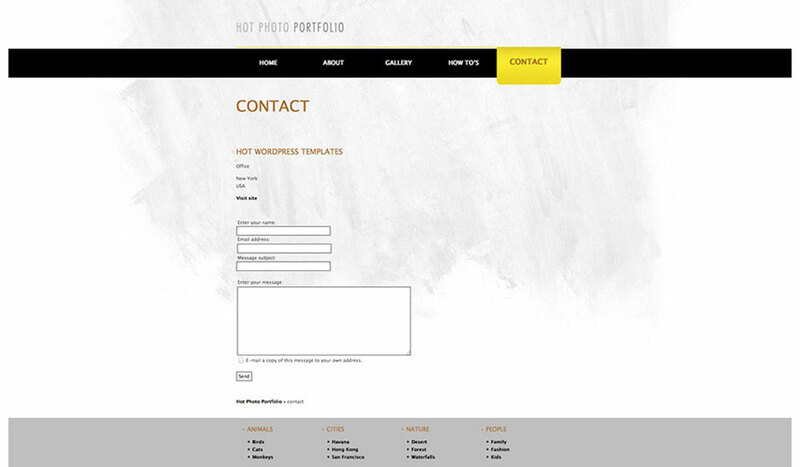 Furthermore, if you install the theme using our HotStart installer, you will be ready to start making your WordPress portfolio site in minutes as all our sample photos, pages and widgets will be exactly as on our demo server. So, your task is just to change photos and text.